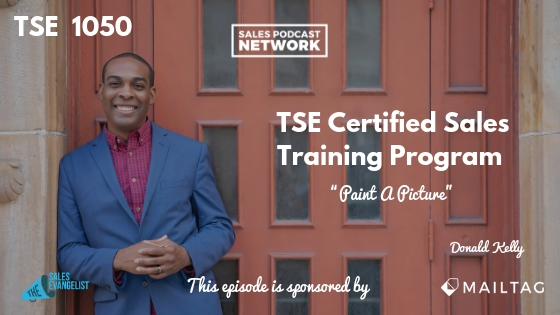 TSE 1050: TSE Certified Sales Training Program - “Paint A Picture"
If you paint a picture for your customers of where they are now versus where they want to go, you can help them make a buying decision. Show them how the positive change will happen, or what might happen if they don’t change. It will allow them to logically justify an emotional decision. Jeffrey Gitomer was my first ever guest and he taught us something interesting on that very first podcast: People love to buy but they hate to be sold. Think about that. Nobody wants to feel tricked or manipulated. That is the last thing that you want to do as a sales rep. You want to help them to buy. Your job is to guide clients through a process that educates them. The key is to paint amazing pictures that feel so real and so vivid that your clients can see the value being offered. Imagine we have presented our business case and the prospect is loving it. They know it is amazing but they will naturally start to compare it to their current situation. What are we doing? What are our sales reps doing? How much time are they spending? Are we wasting time? It is time to paint the picture for them. Toyota once used the ‘Five Whys’ concept to get to the root of a problem; to fix the real issue of any problem instead of the surface-level problem. As an example, suppose I take my car into the shop because I have a flat tire from hitting a pothole. As a sales rep, there are many things you could sell me. I need a new tire, for sure. Do I also need glasses so I can see potholes in the future? Maybe I didn’t see the pothole because I was speeding. Perhaps I was late and I need to buy an alarm clock. What if I was running late because I am not disciplined enough to properly prioritize my day? Will a new tire or a pair of glasses help with the root of my problems? No. 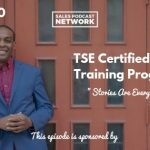 When it comes to your prospect, once he agrees with your business proposal and realizes that he is in the same scenario you’re describing, that is the time to share with him how you can deliver. Paint the picture that directly represents his business and his situation. Ask him what you need to know. Do you feel the scenario that I’ve presented fits your situation? Why do you think that is the case? What have you tried before to address this same problem? What are your goals? Become a consultant that will help solve their problems. You’ve already painted a picture with your business case. 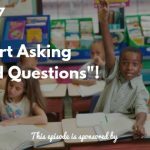 Once you have your answers – once you have more details – you can effectively execute the demonstration. Know your client’s timeframe and budget. Go over who will be involved in the process and the criteria for future decisions. Everything discussed during the buyer’s journey needs to be referenced during the discovery call as well. It helps make the closing that much easier. If I know I can deliver 4x, I often promise 3x because it is a simple fact that my clients will be much happier if they accomplish more than they expected. You can help the prospect realize that the decision is theirs. It is not being forced upon them and it is not manipulative. Rather, with your help, they realize where they are and the challenges they face in moving forward. We have had meaningful and educating dialogue that provided solutions and opportunities for change. The buyer’s decision is now up to them.